Boxing Day is a holiday unfamiliar to many Americans, but it is well known among the countries of the British Commonwealth. It is celebrated on December 26 as a public holiday in the UK, Canada, Hong Kong, New Zealand, South Africa, and parts of Australia. While some believe it has to do with the need to dispose of empty boxes on the day following Christmas, it has nothing to do with that, nor has it anything to do with pugilistic fisticuffs. It is the second day of Christmastide, and some European countries celebrate it as “Second Christmas Day,” but there’s more. In Britain, Boxing Day is also known by the name St. Stephen’s Day. 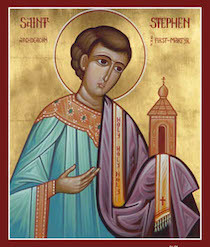 Stephen, a man “possessing great wisdom and full of the Spirit,” was the first Christian martyr as recorded in Chapter 7 of the Book of the Acts of The Apostles in the Bible. He was one of the first deacons or ministers of the early church, serving table to the Hellenistic (non-Jewish) members of the church who were being neglected. Some eight hundred years ago in the UK Boxing Day was the day when gifts were given to the lower classes. 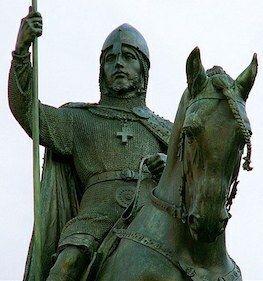 As in the Christmas carol, Good King Wenceslas of Bohemia back in the 10th century gave gifts to a poor man on “the Feast of Stephen.” The folk history around this holiday from the Middle Ages tell how boxes of food or fruit were given by the more materially blessed to servants the day after Christmas, as these servants would attend to their master on Christmas Day. The Lord of the Manor might present various goods or cash in boxes to members of the extended household. The term “Christmas-box” is traced to the 17th century. Alternately, the term is understood as the alms boxes in some churches that were opened during this season following Christmas Day. In some countries of the British Commonwealth in modern times Boxing Day is a bank holiday, a day of shopping sales, or of sporting championship events — like horse racing, fox hunting, soccer, and football — but not usually pugilistic fisticuffs.